The latest version of Mozilla's Firefox browser has been taken offline after a security vulnerability was discovered. Mozilla's Firefox 16 web browser got its regular six-weekly update yesterday but the organisation decided to pull the browser hours after the release. The outfit claimed it became aware of a security vulnerability in Firefox 16 and that updates are expected to ship at some point today. "As a precaution, users can downgrade to version 15.0.1" - Firefox 16 offers several new features, most of which are aimed at developers. One such feature is the Developer Command Line, which provides keyboard control over the Developer Tools. Other features include CSS3 Animations, Image Values, IndexedDB, Transitions, and Transforms. 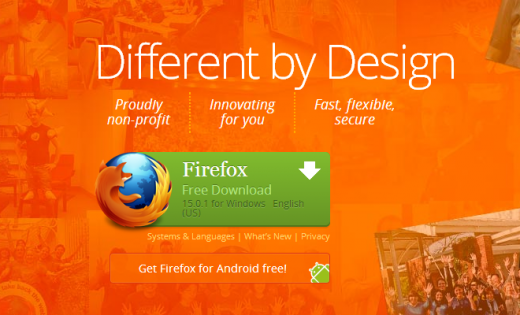 Firefox 16 for Android was also affected by this vulnerability, but a patched version of the browser is already out. Update : Proof-of-Concept code that exploits a privacy information leak introduced in the latest version of Firefox is available online here.